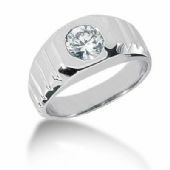 Our Men's Diamond Rings come in a vast range of designs and styles to allow our customers the freedom and ability to choose the best ring for them at the best cost and value. 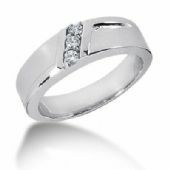 At WeddingBandsWholesale.com, we know that diamond rings aren't just for the ladies anymore, and that is why we offer an entire collection of mens diamond rings. With many different styles, all distictly masculine, you are sure to find the perfect diamond ring that will suit every man.